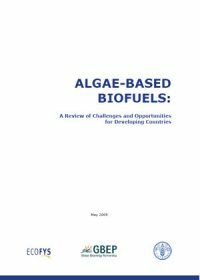 Food and Agriculture Organization of the United Nations prepared this paper on algae-based biofuels in 2009 as a reference platform for possible future work of the Organization. The lead author of the paper was Sjors van Iersel from Ecofys. Some of the main characteristics which set algae apart from other biomass sources are that algae (can) have a high biomass yield per unit of light and area, can have a high oil or starch content, do not require agricultural land, fresh water is not essential and nutrients can be supplied by wastewater and CO2 by combustion gas.